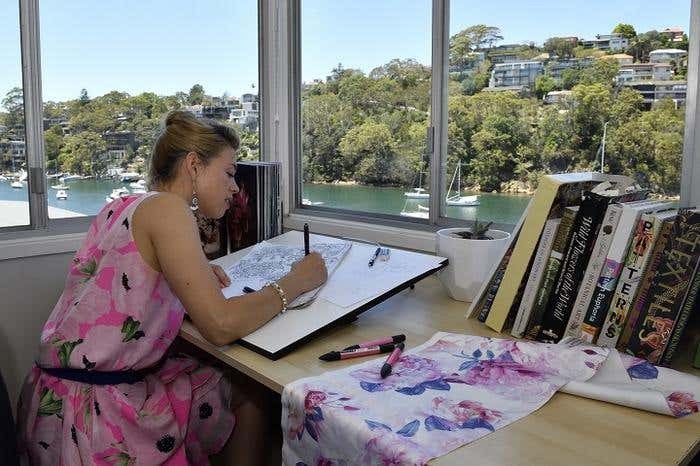 Driven by her passion for design and entrepreneurship, Camille Reed, a resident textile designer based in New South Wales, Australia, set up her design Studio By Mili in 2016. As one of the country’s most talented and recognized textile design artists, Camille is highly sought after for her textile design expertise. 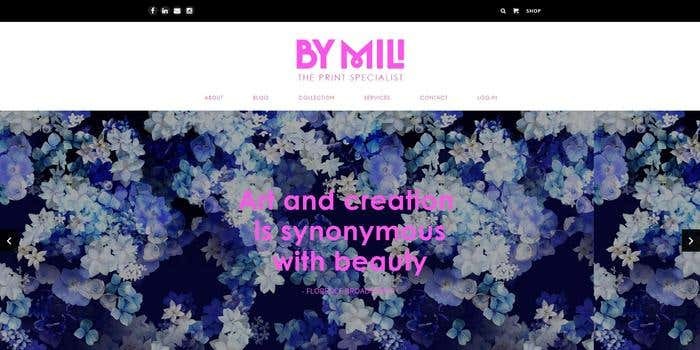 She produces high-quality print designs for the women's fashion industry, featuring her signature feminine style of floral and bohemian designs. Her exclusive works have been featured by some of Australia’s largest retail brands, and also by some of the biggest international high street brands in the US, UK, and Europe. Topshop, Lipsy, New Look, Parker NY and Rachel Roy are only some of the brands she’s worked with in the past. Her love for design dates back to her high school years where she began illustrating and studying design for the love of color and artistic expression. She connected strongly with graphic design and excelled in both Studio Art and Visual Communication. She later took up Graphic Design courses at Victoria University and the RMIT. Following a brief stint in the United States after completing her studies, she went on to pursue her passion for design and spent the next eight years working in the corporate world for some of the biggest fashion organisations in Melbourne, as a graphic textile designer, and social events organiser, until the incorporation of Studio By Mili. “It definitely has been a change of pace because I work solo now. I've built on my artistic strengths and improved immensely,” shared Camille. In hopes of growing her business, even more, she had a website built on Freelancer.com. Budget and diversity were the two factors that pushed Camille to hire from the largest online jobs marketplace platform. 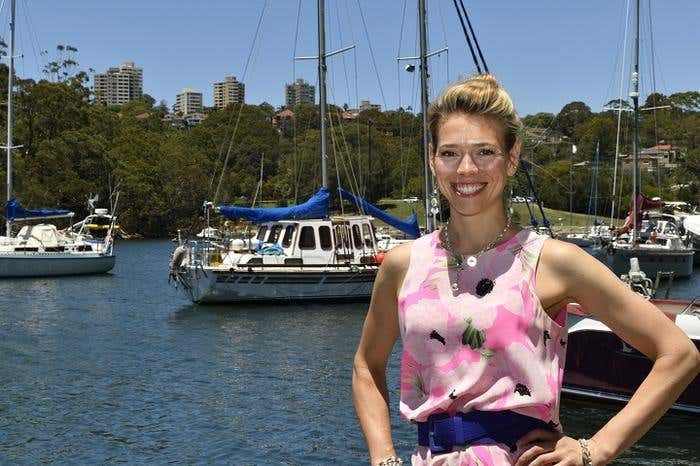 “To crowdsource the website development in a competitive market made sense, where I could look to work with a professional at an affordable rate,” she said. Camille hired user Gaurav N., a team of website developers based in Bangalore, India who are champions in Wordpress, WooCommerce, SEO, and Digital Marketing. Gaurav’s five-star rating, 100% scores, and affordable bid price got Camille on board the team’s long list of employers. One thing Camille made sure of from the project’s onset was that her instructions were clear and concise. She emphasized the need for a private section where only registered members were allowed to view her collections. “The feature was extremely important to me since it kept my designs safe from being replicated and/or stolen, which is top-priority for me. It gives my clients a feeling of exclusivity since only serious buyers are allowed to view the collections,” said Camille. She and Gaurav agreed on the price of AU$331 for the whole project. For approximately two months, the two went back-and-forth sharing their ideas. Camille invested much of her time voicing her feedback since she was really determined to get her dream website live, while Gaurav worked fastidiously to make nothing less than perfection. “I was really pleased and would happily recommend Gaurav to others! I'm getting him to do another side project because I'm extremely confident in his abilities!” said Camille. Since her Freelancer project, Camille’s business has experienced an uptick in inquiries from potential clients and sign-ups have been coming in. 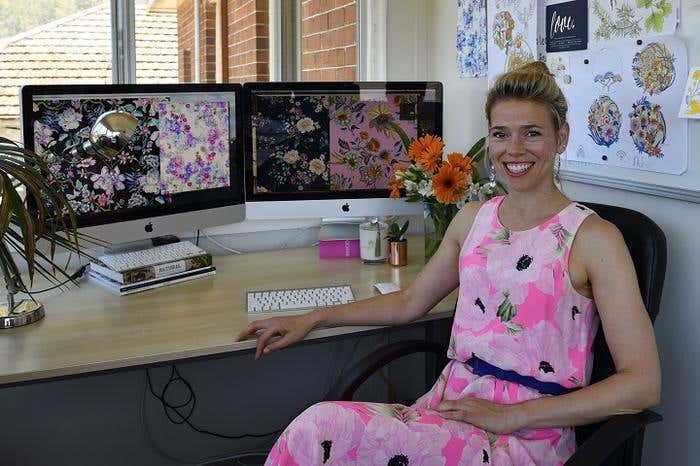 Her business is making great strides in the textile design industry. When in need of a helping hand, Camille’s got an ally in Gaurav and in Freelancer. Post a project and get the best people from around the world on your team. "Freelancer.com offers aspiring entrepreneurs looking to create a new business, flexibility and endless creative solutions. Why spend weeks learning a new trade when you can hire professionals at affordable rates to compliment your needs?!" Our team is responsible for making available to Freelancer.com users the answers to their Support questions through the Help Center articles and the FAQs. Miljoonat pienyritykset käyttävät Freelanceria ideoidensa toteuttamiseen. Tarvitseko työllesi tekijää?